Provide comfort for the family of Nancy Castle with a meaningful gesture of sympathy. 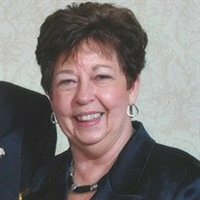 Nancy, age 73, was born on August 8, 1945, and passed away on April 5, 2019. She was raised in Paintsville, Kentucky and attended Oil Springs High School, graduating in the Class of 1964. On August 29, 1964, Nancy married her high school sweetheart and love of her life, Fred Castle. They then moved to Michigan to begin their married life. Nancy spent over 30 years employed by The Fourmidable Group in secretarial and management positions. She loved her time spent with co-workers and the senior residents. Nancy is survived by her daughter, Beth (Cory) DeKraai; her granddaughters, Abby, Kate, and Molly DeKraai; nieces, nephews, and several other family members. She is preceded in death by her husband, Fred; her parents, John and Mary Blair; her sister, Daisy Nell Motts; and two infant children. Graveside services will be held 1 P.M. Friday at the Stambaugh Cemetery, friends may visit the Preston Funeral Home Friday from 10 A.M. until time of graveside services. To send flowers in memory of Nancy Castle, please visit our Heartfelt Sympathies Store. Provide comfort for the family of Nancy Castle by sending flowers. I have so many great memories of my aunt Nancy including fantastic dinners at her house, the big anniversary party that Beth had for her parents, and coming to my wedding in Lake Tahoe. We will miss you so much. I will remember you always. Your niece, Jeanna Berry.